What is the point of goals if you do not look back and see how it went? Seriously, it would be like a basketball player shooting and never looking to see if the ball made it in the hoop. You want to see how successful your attempt was at your goals, and it also provides an opportunity to praise and thank God for all He has done. WIN Event—Continue to broaden worldview of students by teaching students the needs of the world. Also, provide an interactive learning experience where they research the world needs on their own. Grade: A. Teens were able to assemble potential charity projects, learn about needs across the world, and provide Biblical solutions to these problems. Co-Mission Expansion—Collaborate with other youth pastors to plan a mission project or allow students to form community projects together. Grade: Incomplete. To no fault of trying, the logistics to making this happen proved to be too difficult. However, the event still turned out to be a success and provided great evangelistic training to nearly 100 students. New Events—These new events for students include CedarMania and a trip to the Creation Museum. Grade: A. These events were well attended and well placed into the event calendar. The students really enjoyed each event and provided a great off-campus experience. Community Reach—Continue the reach into community by working with a local school in a summer mission project. Grade: A. Community outreach has not always been a strength. However, this year God provided great opportunities such as a community garden rehab for a local school, spaghetti dinners for low-income housing, and homeless outreach to name a few. Junior High Ministry—Continue to expand Junior High Ministry into more than Sunday School, but provide events just for Junior High. Grade: A. God has provided us with some incredible junior high directors that have made this ministry expansion possible, including our first junior high only event. The growth has been a blessing to see, and excited to see what God does in the coming year. Informal Hangout—This is a common request from teens. Add another “Hangtime”, and pursue opportunities to hang out with teens outside of church. Grade: C. Although the goal was accomplished, it was not the best timing. We tried it in the summer, and things were just too busy. It was a lesson learned though to build in this hangtime within the events already scheduled. Once we learned this, it has been a benefit to the ministry. Student Led Mission Trip—Provide an opportunity for leadership students to lead a mission project over the summer. Grade: A. Sometimes you need faith and risk what God puts on your heart. This was one of them. There was more trust placed into the student leaders this year for the local project, and they delivered! Very proud of how hard they worked to bless our community this past summer. Internship Track—Begin to develop ideas for future interns such as reading material, assignments, and training. Grade: B. While it is not deserving of an incomplete, there is still room for improvement. I was able to gather some books that will be good for training myself along with books the intern will be required to read. There is also a basic plan for the responsibilities of the intern. 2015 GPA – 3.6. Is that considered honor roll? Either way, God gets the honor! Andy Stanley brings some great advice on parenting kids in middle school. Also provides great value to those working in middle school ministry. As the saying goes, “if you aim at nothing, you will hit it every time.” It’s a saying that goes through my mind during this time of year. Sure, God can re-direct, and we should always be willing to change our plans according to his direction. But it is also wise to plan ahead and cast vision for the upcoming year. 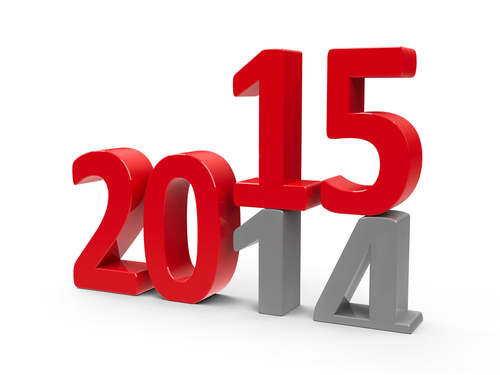 Below are 8 goals that I have set for my 2015 ministry year…hoping they can provide you some inspiration as well. Feel free to comment below with some of your goals! WIN Event—Continue to broaden worldview of students by teaching students the needs of the world. Also, provide an interactive learning experience where they research the world needs on their own. Co-Mission Expansion—Collaborate with other youth pastors to plan a mission project or allow students to form community projects together. New Events—These new events for students include CedarMania and a trip to the Creation Museum. Community Reach—Continue the reach into community by working with a local school in a summer mission project. 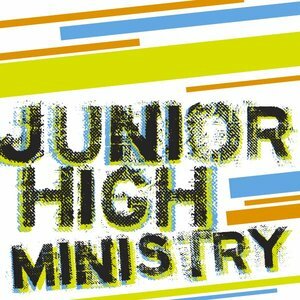 Junior High Ministry—Continue to expand Junior High Ministry into more than Sunday School, but provide events just for Junior High. Informal Hangout—This is a common request from teens. Add another “Hangtime”, and pursue opportunities to hang out with teens outside of church. Student Led Mission Trip—Provide an opportunity for leadership students to lead a mission project over the summer. Internship Track—Begin to develop ideas for future interns such as reading material, assignments, and training. Let’s face it, there is a ginormous difference between a 7th grader and a 12th grader. There is a height difference, maturity difference, social difference, intellectual difference, and often a spiritual depth difference. But many of the youth groups across the nation, including my own until recently, lump these grades together. Public schools figured this out a long time ago, that the education model at its best, features a separation between kids, junior high students, and high school students. So why do many church models feature a much different alignment? Factors include size of the youth group, lack of youth leaders, limited facility space, or just simply lack of time. Dedicated Couple. This is the most important. It is listed first on the list, because without a dedicated couple, your JH ministry will most likely fail. Your first task in launching a JH ministry is to hit the recruiting trail. Look for a couple in your church that has a heart for young people. They don’t have to be theologians. They don’t have to be young. They don’t have to be hip, cool, jive (or whatever the kids are saying these days)…the main criteria is a deep love for God, and a love for young people. That’s what JH students need – a consistent, caring, and dedicated person in their life. And if the couple is not dedicated, they will quit next Tuesday, because JH students are a rare breed that require patience and dedication. Did I mention dedicated? Special Events. Junior high events, where do you start? Begin to look at your student ministry calendar and find those weeks where the high school students have something, and the junior high students do not. Those are the weeks you need to start brainstorming what events can be held for your junior high students so they do not feel left out and you show them they are a big part of the youth ministry too. Teach to Reach. Let me drop a bomb on you. Most worldviews are established by the 8th Yikes. So you think you should focus your teaching on 7th and 8th graders. Say it with me, “You betcha”. Who says “You betcha” anymore? Well, you just did. But seriously, teach on their level of understanding, but challenge them in their faith. Raise the bar in evangelism training, service, and theological intake. Brace for Impact. Immediately work with your dedicated couple to begin recruiting. I do not think it is a coincidence that the 1st year we are doing JH ministry, it is the largest JH group we have ever had. I haven’t taken a math class in a while, but it seems to be addition by division, so you better multiply or it could subtract. Get it? Help will be needed in quick order, so don’t lag on recruiting help. Begin praying and thinking of who can join the JH team right away. 6th Grade Jump. 1st thing you will want to teach is a transition class to the 6th Include in the curriculum all the basics: behavior in the worship service, communion, baptism, giving/offering, service, Bible study, worship, etc. Do not just assume your JH students know how to worship, have a firm grasp on the ordinances of the church, and have a desire to serve. Teach them! These are not all-inclusive steps, but these will give you a firm foundation for establishing a JH ministry. In a small church, like mine, we still combine regularly. Without a full-time JH pastor or worker, it would be difficult to completely separate. But having dedicated teaching times, events, and ministry to JH is something that you can still accomplish even at a smaller church. Begin praying for that couple, and when God brings them to you, buckle up and trust God with this new adventure. Creativity. The creativity has to be the first thing that stands out to me. You can tell right off the bat that the writers have experience in youth ministry. This is not purely a lecture series, but an interactive teaching approach that is easy for the teacher to use. The illustrations were dynamite, and I was rarely disappointed in the variety. Purpose. The premise falls in line with my youth ministry philosophy. As it says in Colossians 1:23, the goal in youth ministry should be: lead teenagers to a faith that lasts, that continues, and in this case, that sticks. With so many students leaving church following graduation, there must be something that we could present to our departing seniors that will help change the trend. This curriculum aims to buck the trend, and point the students towards a faith that isn’t tied to youth group. Easy to Use. No matter the experience level of the teacher, this curriculum was pretty easy to use. Sure, there was study involved, but even if a parent wanted to use this with their upper-classmen, it could happen. The video clips. I wasn’t too impressed with the content of the clips, and was even concerned at some of the wording for young Christians. Be careful, and do not feel pressured to use the clips. At times they add to the teaching, and other times they are simply not needed. Activities. Some of the activities or worship practices were out of my comfort zone. It’s good to have creativity, but again, don’t feel pressured in doing something that may cause more confusion than growth. This was rare in the series, but it did appear. The variety and ease of use allowed this to be a positive grade. There were some flaws, and the spiritual depth needed an extra boost every now and then, but for the most part, I enjoyed the series. In fact, I was able to use this material for a transition class where I combined junior high, high school, & young adults. Very few curricula could ever be that versatile. The curriculum did its job in providing valuable lessons for the senior to transition into adult life. It’s an important enough venture to look into this curriculum for a number of reasons: very few curricula out there like this, the epidemic of seniors leaving church after graduation, and the importance of the topics covered. Just those few reasons alone should encourage you to take a look. As promised, here are 50 events that I have participated in over the years. Some are outdated, some went very well, some were flops…After reading the list. Feel free to comment about some of the events that you have done over the years!